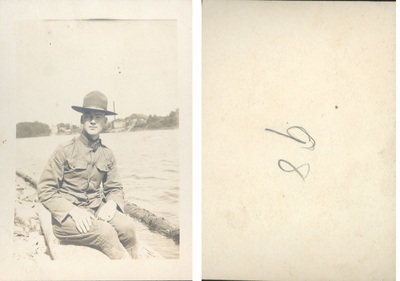 "Photograph of Henry L. Foss's Army Friend Sitting at River"
Photograph of Henry L. Foss's army friend. He is sitting by a river. Only information on the back is "98"